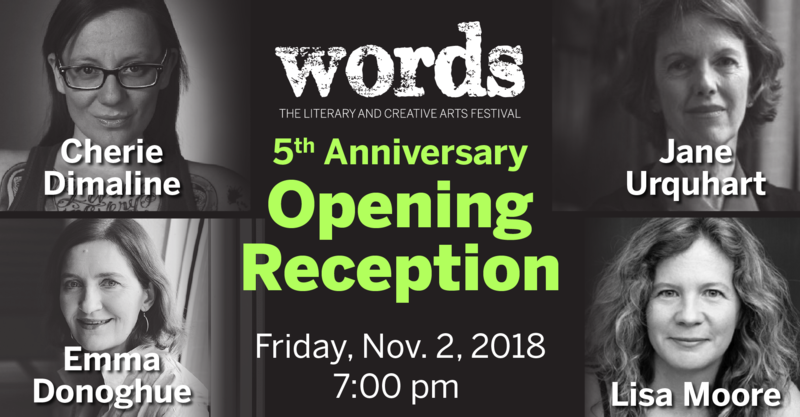 Words Festival is celebrating its fifth anniversary year, taking place between the 2nd and the 4th of November 2018! At our Opening kickoff, journalist and filmmaker Janice Zolf will join us to sit down and chat with London author Emma Donoghue. We will also feature a star panel of authors on creativity and big ideas, featuring Jane Urquhart and Lisa Moore. Come on down to Museum London to mix and mingle with some of Canada’s brightest writers, thinkers, and creatives! Over the course of the weekend you will have the chance to meet with a stunning cast of literary and creative lights of Canada, featuring acclaimed authors Stephen Brunt, Nino Ricci, Jane Urquhart, Cherie Dimaline, Willow Dawson, Lee Maracle, Randall Maggs, Julie Bruck, Russell Smith, Paige Cooper, Aaron Kreuter, Brian Goldman, Penn Kemp, Tom Cull, Deanna Young, Judy Rebick, and many more. Do you have questions for our authors? To join the conversation, tweet your comments and questions to the Festival hashtag (‪#‎WordsLdn‬). Early bird rates apply: $15 for students, $20 for general admission. At the door, $20 students, $25 for general admission. There will be light snacks and a cash bar.